This post is part of a series on abusing history in constitutional law, and it is the fourth section examining Carl H. Esbeck’s “Protestant Dissent and the Virginia Disestablishment 1776-1786.” For the first two posts in the series click on the following links: Intro, Part I, and Part II. After a tumultuous 1776, debate on the subject of religious establishments waned but did not completely fade. The dissenters, happy to have been relieved from the burden of supporting religion, lost the sense of urgency that fueled their campaign in 1776. But the fact that the established Church remained intact, albeit weakened from the loss of funds, ensured that the dissenters would not rest content for long. The awareness of their inferior status was never far from their minds, even when distracted by the demands of revolution. Their complacency was likely aided by Jefferson’s successful blockade against any proposed religious assessments. Even as they lost their earlier public zeal, evidence of their concerns can be found in the minutes of their meetings. The lack of public zeal by the dissenters has led some to blame them for the failure of Jefferson’s bill for religious freedom in 1779. While unfortunate, it is doubtful that a determined effort by the dissenting community would have made any difference. At that time, the dynamics within the legislature determined its fate, and no amount of pressure from the dissenting community would have prevented the conservative assault against it in the legislature. With the makeup of the legislature essentially divided between the conservative and progressive forces, the bitter struggles between the two camps more often than not ended in stalemate, as the failure of both Jefferson’s bill and a conservative bill meant to establish a general assessment demonstrate. Nevertheless, the contests of 1779 are revealing. After a fairly quiet year in 1778, the public debate over establishments returned in 1779 when Jefferson introduced his bill for Establishing Religious Freedom. The meaning and extent of Jefferson’s achievement will be examined within the 1786 context in which it was passed since Esbeck’s interpretation hinges on that context. At this point the focus will be on the reason for the failure of the bill. According to Esbeck, it failed because “[t]he politics had turned against it.” (p. 73) He offers very little evidence for this claim, except a reference to Charles F. James’s Documentary History. But James’s account of the events of 1779 is hardly supportive of Esbeck’s claim. Rather than focusing on a changing political climate, James is trying to pin the blame for the failure of the bill on the Presbyterians. As a late nineteenth-century Baptist preacher, James wrote his book in response to those who tried “to rob our Baptist fathers of the peculiar honor which has ever been claimed for them—that being the foremost, most zealous, and most consistent and unwavering champions of soul liberty.” (6) In other words, James’s Documentary History is a partisan work and hardly a reliable source beyond the reprinted documents. More importantly, James fails to prove his own point. Most of the evidence he provides are general statements from sources of varying credibility praising the Baptists as the main champions in the struggle for religious liberty. Only a few excerpts focus on the events of 1779, and they fail to support his, or Esbeck’s, claim. Certainly, the Presbyterians were not as active as they had been, but the same state of inertia gripped the Baptists in 1779. And even if they had been, their campaigning is unlikely to have made a difference at that point. If it was neither Presbyterian apathy, nor a changed political environment, what explains the failure of the bill. Thomas Jefferson, by Mather Brown. London,1786. The real culprit of the bill’s downfall was the political maneuvering of the conservatives in a legislature that was just as divided in 1779 as it was in 1776. During this period, any legislation on the subject of establishments required some heavy lifting in a House in which neither side had a clear majority. At first it appeared that the religious liberty faction under Jefferson’s leadership might have the upper hand. The staunch conservatives Edmund Pendleton and Robert C. Nicolas, whom Jefferson described as “[o]ur great opponents” who were “honest men, but zealous churchmen,” were absent. (7) But the bill’s fate was sealed after Jefferson’s fellow legislators elected him to the governor’s seat by his before he had secured its passage. (8) Jefferson’s election to the governorship was likely no accident, the same trick will be used against Patrick Henry in 1785 during the final showdown over assessments. Just as the conservatives did in 1776, they took advantage of Jefferson’s absence to undermine his efforts. The bill survived two readings before its death was secured. (9) Then, in order to rouse conservatives and provoke a backlash, they had the bill printed as a broadside. In contrast to the six pro-establishment petitions, only two petitions in support of Jefferson’s bill appeared at the General Assembly that fall. One came from the “sundry inhabitants” of Augusta County, a heavily Presbyterian county, which “cordially approve[d] of” the bill for establishing religious freedom and hoped that it would “pass into a law.” (13) The other petition more forcefully expressed support for the bill. It praised Jefferson’s measure as “giving free and equal Liberty & Privileges in matters of Religion to all the Inhabitants of this Commonwealth.” Thus, they gave their “hearty assent concurrence & approbation to the purpose of the said Bill and desire[d] that the same may be passed into a Law.” Laying out the important distinction between toleration and religious liberty, they declared that they “most earnestly desire[ed] and pray[ed] that not only an Universal Toleration may take Place but that all the Subjects of this Free State may be put upon the same footing and enjoy equal Liberties and privileges, which we think (consistent with the 16th paragraph of the Declaration of Rights), can no longer with any shadow of Justice be withhold.” (italics mine) They wanted religious liberty, not simply toleration. In pursuit of this goal, they instructed their representatives “to promote a Total & final Repeal of all Laws giving Rise to [‘unrighteous Distinctions’].” They closed their plea forcefully by declaring that they, members of the “Church of England = men; Presbyterians, Baptists & Methodists,” spoke “unanimously & with one voice.” (14) This closing statement was clearly meant to highlight the nonpartisan nature of their appeal. Interestingly, the Methodists, still part of the Episcopal Church, had not yet switched sides to join the dissenters on this issue, but apparently, there were already some members of that denomination in the fight against establishments. Based on the paltry showing of petitions from supporters, it appeared that the dissenters were not behind it or its message, but this lack of public enthusiasm did not reflect their private sentiments. Some of the bill’s most enthusiastic supporters, like the Baptists, came out in support of it but failed in their follow through. (15) In October at a meeting of the General Association, the Baptists unanimously agreed to the following proposition: “On consideration of the bill establishing religious freedom, agreed: That the said bill, in our opinion, puts religious freedom upon its proper basis, prescribes the just limits of the power of the State with regard to religion, and properly guards against partiality towards any religious denomination. We, therefore, heartily approve of the same, and wish it to pass into a law.” They also ordered that their unequivocal support “be inserted in the Gazettes.” (16) For unknown reasons, no such statement has been found in any of the gazettes. Whatever the reason for their lack of follow through, the Baptists were clearly behind Jefferson and his bill. The Presbyterians were silent on the subject publicly as well, with the exception of those individuals who signed the Augusta and Amherst petitions. This silence was probably due to multiple factors, including: internal divisions; war-related distractions; and, as already indicated, out of a desire to cooperate during a time of war. There is also no evidence that the Presbyterians disagreed with the sentiments expressed in the bill, but we do have some evidence that they were in favor of it. In addition to the petition from the heavily Presbyterian Augusta County, we have a letter written to Jefferson from one of the leading members of the Presbyterian community. Consistent with the previous Hanover petitions, this letter expressed a deep concern for, and desire to secure, equal individual rights, which he contrasts with the tyranny of establishments. For this reason, all establishments of religion had to go. That being done, the state will benefit from “reward[ing] all men according to their merit.” (italics mine) These views were essentially the same as those expressed by Jefferson in his famous bill for religious freedom. It was not for any disagreement with Jefferson’s bill that the Presbyterians failed to come out publicly in favor of it, and if they had it is unlikely that their efforts would have had any impact. Jefferson was still governor and his bill which had been killed during the spring session was not resurrected. Instead, the conservatives would take advantage of Jefferson’s absence and introduce a bill of their own. First, That there is one Eternal God and a future State of Rewards and punishments. Secondly, That God is publickly to be Worshiped. Thirdly, That the Christian Religion is the true Religion. Fourthly, That the Holy Scriptures of the old and new Testament are of divine inspiration, and are the only rule of Faith. Fifthly, That it is the duty of every Man, when thereunto called by those who Govern, to bear Witness to truth. In addition, the “Teachers, Pastors, or Clergy” of these societies were required to take an oath swearing to teach only what “may be concluded and proved from Scriptures” (a backhanded swipe at the Catholics) if they wanted to receive financial support from the state. In practice this establishment would have excluded Catholics, Quakers, and non-Christians. The bill even went so far as to grant toleration only to those who believed “that there is one God, and a future State of rewards and punishments, and that God ought to be publickly worshiped,” in defiance of the Declaration of Rights. (18) The illiberal nature of this bill most certainly contributed to its demise, although it is unlikely that it would have passed in any version. They had gone too far in dictating articles of faith. The conservatives would not make this mistake again. Adding insult to injury, the Episcopal Church permanently lost the promise of funding from its own members after a bill “to repeal so much of the act for the support of clergy” passed into law. (19) This act freed the legislature from the decision to suspend the funds annually as it had done since the dissenters’ act was passed in 1776. Interestingly, George Mason, who introduced it, attached a preamble to the original bill that rebuked government-funded support for religion. Explaining the bill’s purpose, the preamble read: “To remove from the good People of this Commonwealth the Fear of being compelled to contribute to the Support or Maintenance of the former established Church, And that the Members of the said Church may no longer relye upon the Expectation of any Re-establishment thereof, & be thereby prevented from adopting proper Measures, among themselves, for the Support and Maintenance of their own Religion and Ministers.” (20) The harsh tone and scolding nature of this preamble was too much for the majority of the House, many of whom were members of this “said Church,” and it was scrapped before the bill’s final reading. Despite being rejected it gives us insight into the purpose of the bill. It was meant to discourage the Episcopal Church from all attempts to gain its livelihood from the state, which they believed was preventing it from taking the “proper Measures” to support itself. The passage of the bill was a partial victory for the anti-assessment coalition since it eliminated all remaining state funding of religion. The victory was only partial because it left open the possibility of a general assessment. Another blow to the established church was delivered after a bill “for saving the property of the church heretofore by law established,” also introduced by Mason, was postponed. (21) While the established Church took several blows this session, it still retained its distinguished position as the church “by law established” and all the privileges that came with this title (minus financial support). While the two main dissenting communities found these remaining privileges repugnant, the Presbyterians remained silent for the remainder of the war. It was left to the Baptists to bear the burden of campaigning for religious liberty during this period. Their efforts in 1780 are particularly revealing and therefore worthy of examination. Given the hardships of war, it may seem surprising to find the Baptists pressing forward with their campaign, however, from their perspective it was the perfect time to pursue “the Blessings of Liberty.” (22) Just as they had thrown off the yoke of British oppression, it hardly made sense to them to allow another form of oppression to replace it. Therefore, they sent two petitions to the legislature in 1780, one of which was mentioned by Esbeck. In doing so, he only brought up their two specific complaints (the unjustness of the vestry and marriage laws) without explaining their rationale. (p. 75) It is only by examining the dissenters’ rationale that we can understand the dissenters’ theory of religious liberty. In both cases, the core complaint was against the unjustness of laws that conferred privileges on members of a particular religious society in violation of the rights of all other citizens. This point was brought home in their conclusion where they expressed hope that the “Honorable House will take effectual Measures to redress these Grievances, in such a Way as may manifest an equal Regard to all the good People of this Commonwealth, however diversyfied by Appellations or Religious Sentiments…and in particular that you will consign to Oblivion all the Relicks of Religious Oppression, and make a public Sacrifice of Partiality at the glorious Altar of Freedom.” (italics mine) This sweeping defense of individual rights in opposition to two laws that established unjust privileges on the basis of religious affiliation exposes the deceit of Esbeck’s characterization of the dissenters’ views. The primary goal of the Baptists was not to protect “the church” or organized religion from the state, but to force the state to honor its commitment to equal individual rights, which, in consequence, would protect their church. In response to the above petitions a bill “declaring what shall be a lawful marriage” was passed in December 1780, which Esbeck misleadingly claims to have solved the issue. The bill did grant the dissenters the right to marry, but it did so with various restrictions not shared by the Episcopal clergy. Falling far short of true equality, the Baptists continued to petition for a just marriage law. It was not until December 1784 that the issue was resolved to their satisfaction. Every concession they got was the result of relentless campaigning. They were up against a determined foe hoping to retain as much of the traditional establishment as possible. The issue of the vestries was also addressed by the legislature, but no general solution to the problem was agreed to. Instead, “several” vestries were dissolved and overseers for the poor were appointed in the place of the vestrymen. (27) A piecemeal approach to dealing with vestries was probably all that was politically feasible at that time. For the most part 1780, just as 1779, ended in stalemate. It would not be until after the war that this deadlock would be broken as geographic and political forces turned the tide in favor of the dissenters and their rationalist allies. “Minutes of the Meetings of the Hanover Presbytery,” held at the Virginia Historical Society, 236. There is a reference to a committee meeting at the house of John Poage from the October 1777 meeting, but exactly which committee and what it achieved is missing. Ibid., 241. Reprinted in James H. Smylie, “Jefferson’s Statute for Religious Freedom: The Hanover Presbytery Memorials, 1776-1786” American Presbyterians (vol. 63, no. 4, Winter 1985) 366. Robert B. Semple, A History of the Rise and Progress of the Baptists in Virginia (Richmond: John O’Lynch, Printer, 1810), 64. Thom, William Taylor, The Struggle for Religious Freedom in Virginia: The Baptists (Baltimore: The John Hopkins Press, 1900), 63. James, Charles F. Documentary History of the Struggle for Religious Liberty in Virginia. (Lynchburg, Virginia: J.P. Bell Company, 1900), preface. 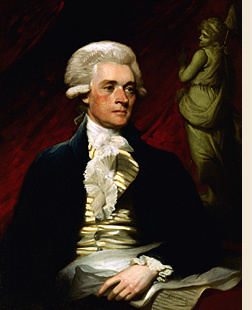 Thomas Jefferson, Autobiography, Founders Online. Thomas E. Buckley, Church and State in Revolutionary Virginia 1776-187 (Charlottesville, Virginia: University Press of Virginia, 1977) 46. “Social Christian,” Virginia Gazette (Sept. 11 & 18, 1779) in Buckley, Church and State, 49-50. Culpeper County (October 21, 1779) and Essex County (October 22, 1779) petitions in H.J. Eckenrode, Separation of Church and State in Virginia: A Study in the Development of the Revolution (Richmond: Davis Bottom, 1910): 57-8. Augusta County petition (October 27, 1779) LOVD. Amherst County petition (November 1, 1779) LOVD. Buckley, Church and State, 55. “To Thomas Jefferson from Rev. John Todd, 16 August 1779,” Founders Online, National Archives ( [last update: 2015-02-20]). Source: The Papers of Thomas Jefferson, vol. 3, 18 June 1779-30 September 1780, ed. Julian P. Boyd. Princeton: Princeton University Press, 1951, pp. 68-69. “A Bill concerning Religion” (1779) in Buckley, Church and State, (Appendix I): 186. Journal of the House of Delegates [Oct. 4 – Dec. 24, 1779] (Williamsburg: John Clarkson and Augustine Davis, 1780), 120. Quoted in Daniel L. Dreisbach “George Mason’s Pursuit of Religious Liberty in Revolutionary Virginia,” The Virginia Magazine of History and Biography (vol. 108, no. 1, 2000), 5 – 44. J. Eckenrode, Separation of Church and State in Virginia: A Study in the Development of the Revolution (Richmond: Davis Bottom, 1910): 61. Baptist Association petition (November 8, 1780) LOVD. “An act for exempting the different societies of dissenters from contributing to the support and maintenance of the church as by law established, and its ministers, and for other purposes therein mentioned,” in The Statutes at Large; Being a Collection of all the Laws of Virginia, From the First Session of the Legislature, in the Year 1619, vol. IX, edited by William Waller Hening (Richmond: J. & G. Cochran, Printers, 1821), 165. Baptist Association petition (May 1780) LOVD. Amelia County (May 12, 1780) LOVD. Eckenrode, Separation of Church and State, 66.